In what appears to be a theme with lucky number 7, Apple on Monday sent out invitations to members of the media for a keynote presentation on Sept. 7, where the company is expected to announce its next-generation "iPhone 7." While reading too much into an Apple invitation is ill advised, the emphasis on 7 could be a hint that the company's next-generation handset will indeed be dubbed the "iPhone 7." Leaks building up to next week's announcement have indicated that this year's phone will look largely the same as its predecessors, which led some to speculate that this year's model may not receive a full number upgrade. The presentation will kick off next Wednesday, Sept. 7, at 10 a.m. Pacific, 1 p.m. Eastern from the Bill Graham Civic Auditorium in San Francisco. 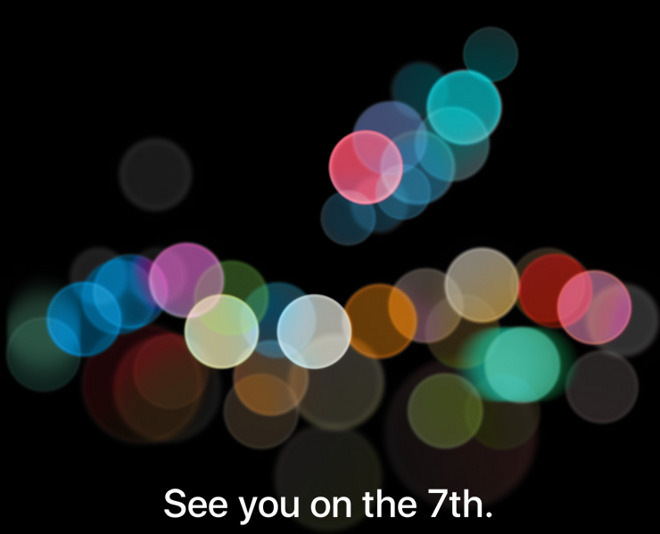 AppleInsider will be there live, providing full coverage of the announcements. Of particular interest with Apple's next iPhone is the expectation that the company will do away with the legacy 3.5-millimeter headphone jack. It's believed that Apple will ship the "iPhone 7" with a pair of Lightning-connected headphones in the box, while also offering an adapter for traditional headphones. Eliminating the headphone jack would allow for a waterproof design that could enable thinner form factors. Water resistance could also be improved with a new haptic feedback home button that will simulate a click when pressed, rather than moving. It's expected that the new home button will operate in a manner similar to the click-less Force Touch trackpad found on recent MacBooks. Apple is also rumored to be working on its own wireless earbuds with completely separate left and right earpieces, which could be dubbed "AirPods." The biggest upgrades this year are rumored to be in the larger 5.5-inch model, which is expected to boast a unique dual-lens camera capable of capturing more advanced images. The smaller 4.7-inch version is rumored to have an improved camera, but lack the dual-lens design. Internally, the so-called "iPhone 7 Plus" is also expected to feature more capable hardware in the form of 3 gigabytes of RAM. 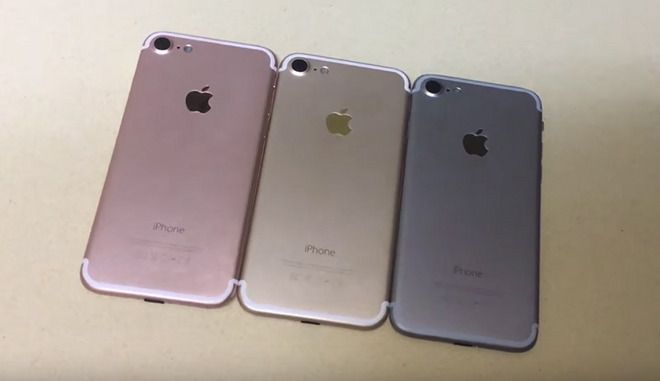 It's believed the smaller "iPhone 7" will stick with 2 gigabytes of RAM. Both models are expected to be powered by a next-generation "A10" processor. It's also rumored that Apple will switch up colors and offer a new "space black" shade, replacing space gray. For capacity, leaks have suggested the "iPhone 7" will start with 32 gigabytes of storage, and will max out at 256 gigabytes, making them the most capacious models Apple has ever made. 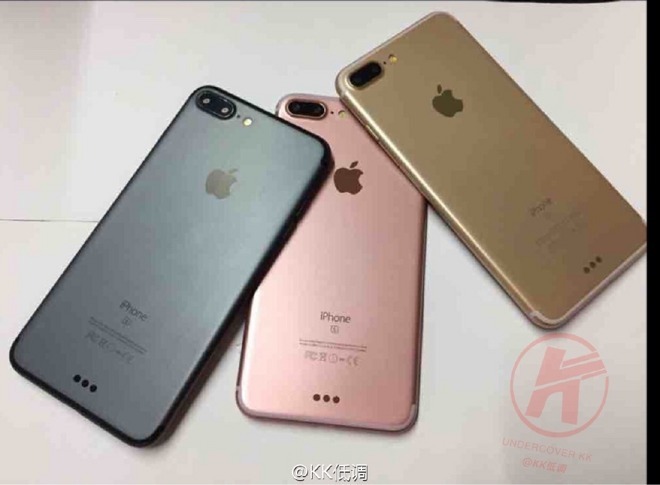 Less certain are rumors that the "iPhone 7 Plus" will feature a magnetic Smart Connector port on the back of the handset. Some leaked parts and schematics have shown the connector above the Lightning port, while others have not featured one. 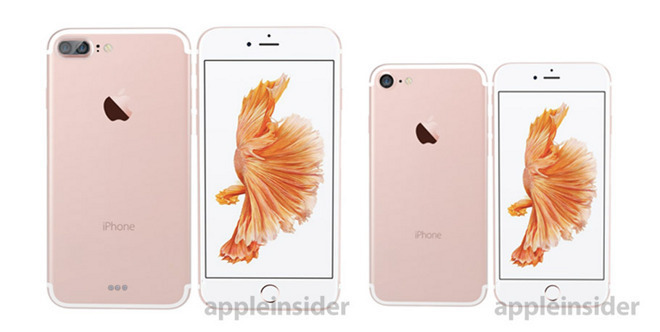 Preorders for the "iPhone 7" are expected to start a few days after the keynote, on Sept. 9. It's likely that the handsets will become available one or two weeks after that date, launching before the end of September. Beyond the iPhone, Apple is also expected to take the wraps off of a next-generation Apple Watch with GPS. The new wearable is rumored to look largely the same as the current model, but could pack in a slightly larger battery to help power the new native location capabilities. Integrating a GPS radio into the watch itself would allow runners, bikers and others to exercise and track their pace and distance without the need for a connected iPhone. Not expected at the September event, however, are new Macs. Though the company's MacBook Pro lineup is overdue for an upgrade, it's expected to launch later this fall. The new MacBook Pro is rumored to be Apple's thinnest model ever, switching to reversible USB-C ports, and replacing the top row of function keys with a dynamic OLED touchscreen. It's also expected that Apple will bring its fingerprint sensing Touch ID technology to the MacBook lineup for the first time.